The explosion of emojis in mainstream digital media (see The Emoji Economy) gives brands a new digital language with which to engage millennial consumers. 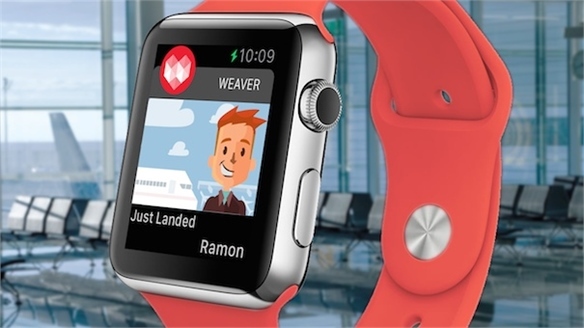 The fashion and beauty industries are taking note – with fun, poppy stickers and tech add-ons bringing customisation to the fore. 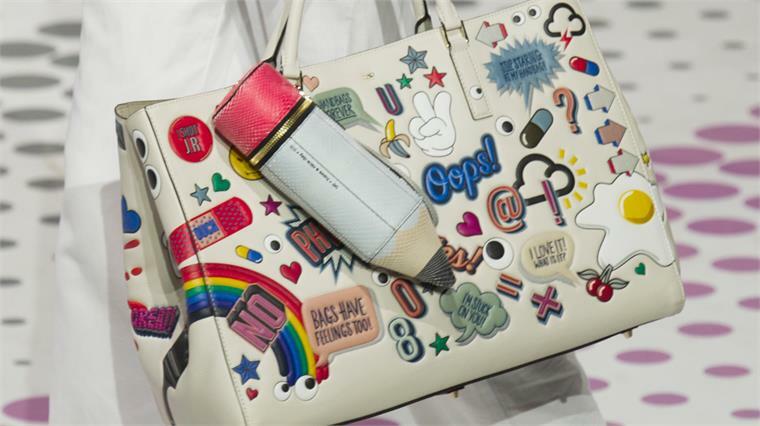 Anya Hindmarch’s online Sticker Shop accompanies the launch of the British accessory designer’s Spring/Summer 2015 collection, which offers consumers the chance to customise their handbags or phone cases with luxury leather sticker add-ons in Disney designs, and comic schoolgirl decorations such as smiley faces and band-aids. Marketing the products as customisable opens up the luxury brand’s market to millennials. Hindmarch was inspired by her schooldays, when customising notepads and backpacks expressed personality and uniqueness. New beauty brand Glossier, launched by cult US beauty blog Into The Gloss, similarly mines the customisable vein with emoji-like stickers that consumers can add to their product’s existing minimal packaging. The brand, which is aimed squarely at clued-up millennials, really grasps their desire to express their personality through their purchases, even if they only sit in the bathroom cabinet. Read more in Glossier: Blog Turned Beauty Brand. The trend for wacky, kitsch personalisation products is continuing in the iPhone case market too, which kicked off with British designer Jeremy Scott’s now cult French fries iPhone case for Moschino for Autumn/Winter 2014. Flash forward a few seasons, and we’ve added a melted chocolate ice cream and a Barbie-pink hand mirror to the mix. While very much joke products, their sales online (Net-A-Porter) and in-store (Selfridges) have grown exponentially. In an interview with the Financial Times, Keeley Warwick, contemporary accessories buyer for Selfridges, discussed the store’s decision to increase its investment in the market by 30%, stating that it’s one the store’s “most rapidly expanding categories”. In the same article, Net-A-Porter’s online buying manager Sasha Sarokin suggested phone cases are “the 21st-century lipstick purchase” due to their wide appeal across age brackets. 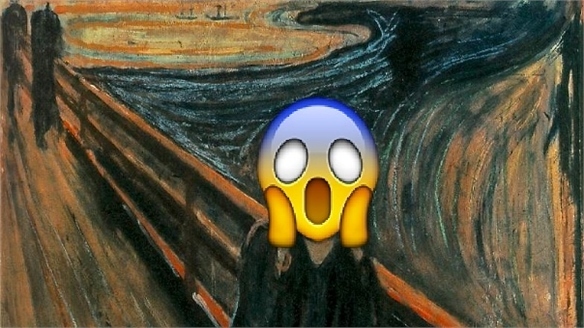 With the Whitehouse jumping on the emoji bandwagon in October 2014 (publishing a report on millenials that was littered with the emoticons), brands can be similarly inspired by their expressive nature, applying them to their own products and services to appeal to an increasingly customisation-focused generation. For more, see Product Hubs: Experimentation & Co-Creation, and iSmash: Premium Tech-Customisation Hub for the retail perspective on customisation. Also read Haute Humour, which explores how luxury brands are increasingly embracing wit as a tool. 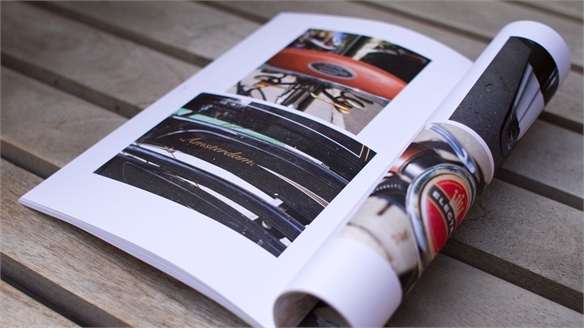 Recently: Mobile to Magazine App Recently: Mobile to Magazine App A new app that turns smartphone photos into a high-end monthly magazine launched last month. 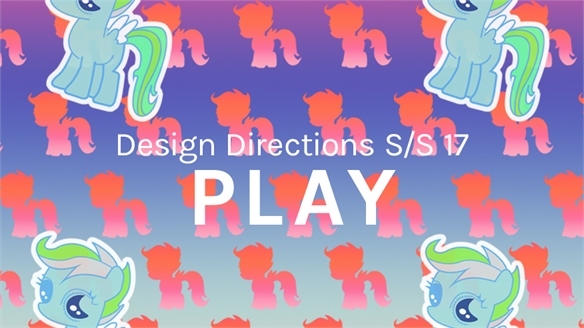 Play S/S 17 Play S/S 17 Play updates our A/W 16-17 Kidult trend and moves it into a more intentionally messy, humorous sphere. Steeped in childhood references, this trend incorporates humour as a means of playful expression, as well as a way of addressing deep human concerns such as death and spirituality. 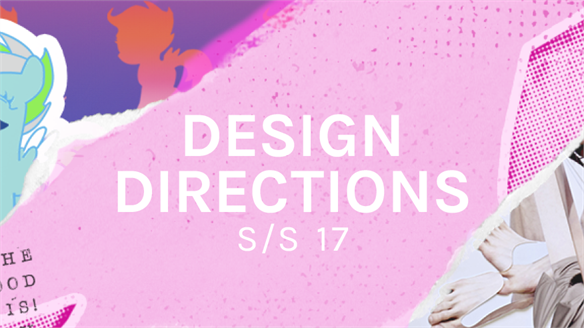 Fashion & Beauty: Design Directions S/S 17 Fashion & Beauty: Design Directions Our S/S 17 Design Directions provide visual direction and key insights for beauty, male grooming, womenswear and menswear. This season, we explore concepts of body and gender acceptance, wellbeing and feminism, and explore how they are impacting design. We highlight the need-to-know cultural drivers, key influencers and groundbreaking products that propel our three trends: Play, Stillness and Riot. 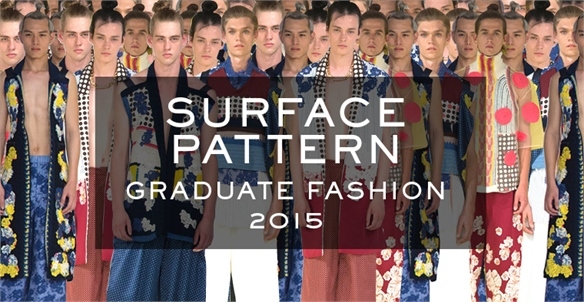 Graduate Fashion 2015: Surface Pattern Graduate Fashion 2015: Pattern Fun is the key takeaway for surface pattern from the graduate collections. Cutesy cartoons, bright florals on menswear, and bold check/stripe combinations act as a counterpoint to slick minimalism. 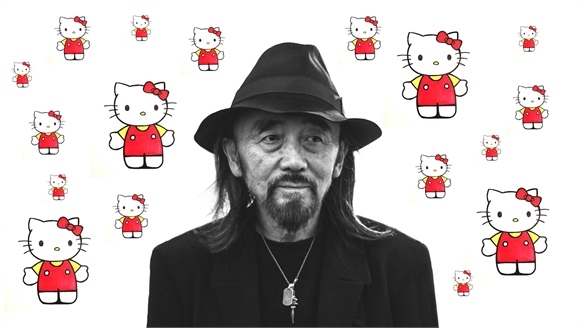 Hello Kitty x Yohji Yamamoto Collaboration Hello Kitty x Yohji Yamamoto Japanese conglomerate Sanrio, which owns the Hello Kitty franchise, has announced a collaboration with Japanese fashion designer Yohji Yamamoto called Kitty’s. 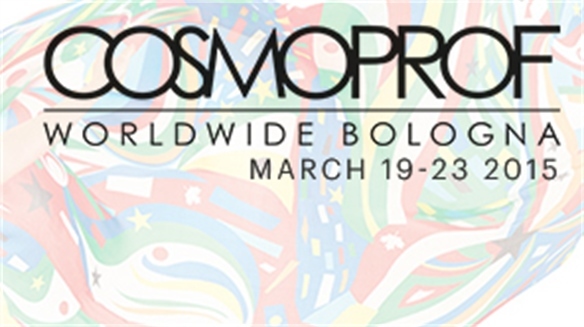 Cosmoprof Worldwide 2015 Cosmoprof Worldwide 2015 Held annually in Bologna, Cosmoprof Worldwide – one of the largest and most wide-reaching beauty fairs – offers the latest trends and innovation in haircare, skincare, colour cosmetics and packaging design. Stylus highlights the key takeaways from the 48th edition. 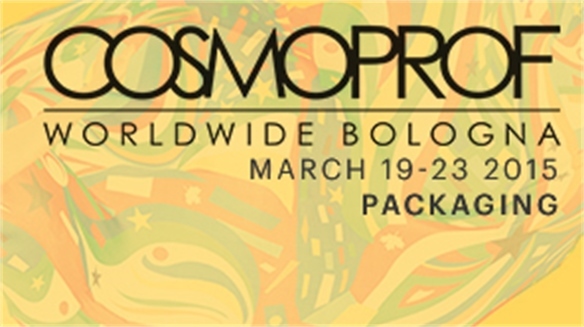 Cosmoprof World 2015: Packaging Cosmoprof World 2015: Packaging Packaging design at the 48th edition of Cosmoprof Worldwide focused on bright and bold branding as companies seek to attract the millennial market. Elsewhere, natural, eco and wellness-focused designs offered key takeaways. 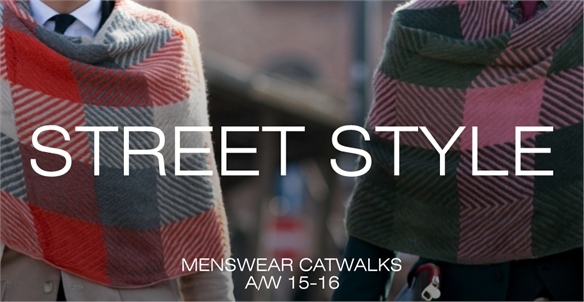 Menswear A/W 15-16: Street Style Menswear A/W 15-16: Street Style From London and Milan to Paris and Florence, we highlight the standout street styling from the A/W 15-16 menswear presentations. Pre-Fall 2015: House of Holland Pre-Fall 2015: House of Holland British designer Henry Holland’s Pre-Fall 2015 collection reappropriates the House of Holland signature tartan check with a 90s punk edge influenced by sports street style and Asian bubble-gum pop – a heady combo likely to chime with millennials. Barbie’s Fashion Moment Barbie’s Fashion Moment British designer Jeremy Scott brought the iconic Barbie doll and her bubble-gum pink, plastic lifestyle under the spotlight in his S/S 15 catwalk collection during Milan fashion week, reminding the fashion and beauty industry to lighten up in the face of economic and social struggles. Millennial consumers are enraptured. Haute Humour: Visual Influence Haute Humour: Visual Influence Luxury fashion brands are embracing wit as a tool to humanise a sector often perceived as impenetrable – recognising the power of humour to gain traction online and entice a new generation of high-spending millennials. 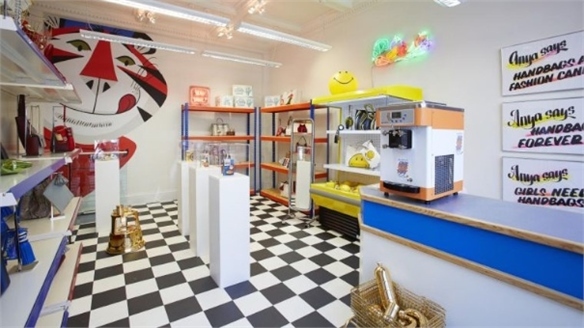 We track the best store concepts, ads and e-campaigns already attuned to playful thinking. 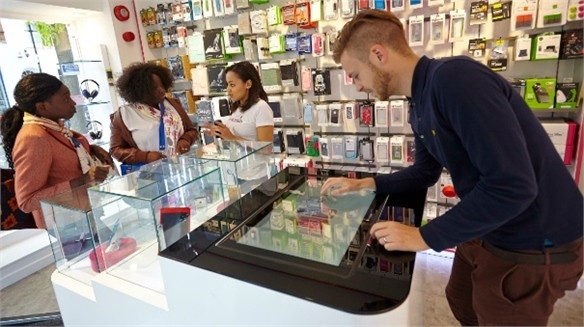 iSmash: Premium Tech-Customisation Hub iSmash: Premium Tech-Customisation British tech repairs specialist iSmash launched its first physical store this month – using customisation as a key strategy to transfer its original e-tail-only offer into a bricks-and-mortar destination. Product Hubs: Experimentation & Co-Creation Experimentation & Co-Creation Forward-thinking brands are transforming their shops from standard selling spaces into experiential hubs, primed for more personalised consumer engagement. 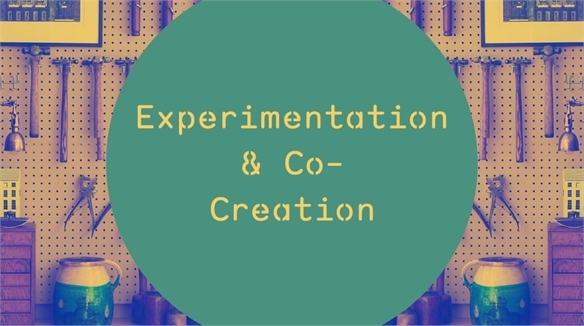 Co-creation, customisation and experimentation are key.